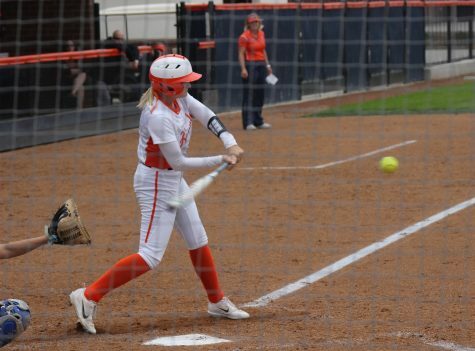 After getting rained out their first two conference games, the Hawks softball team finally played their home opener on Saturday against Sacramento City College. 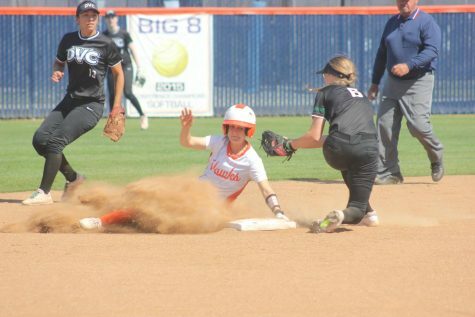 Because the Sac City field was muddy, the game was moved to Cosumnes River College a day ahead of schedule. But it ended up working out in the Hawks’ favor, with their first conference game a shutout, 8-0. 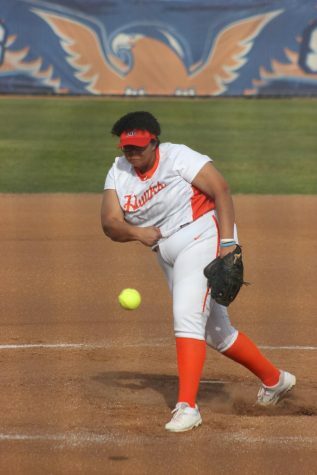 With strong pitching from freshman pitcher Brittany Baroni, the game wrapped up quickly without the Panthers scoring any runs. The Hawks got on the board in the bottom of the second inning. After two outs, freshman utility player Baylee Hirtel hit a triple which allowed sophomore left fielder Lindsay Lambert to score the first run of the game. From there the Hawks continued to rack up runs in the bottom of the second. 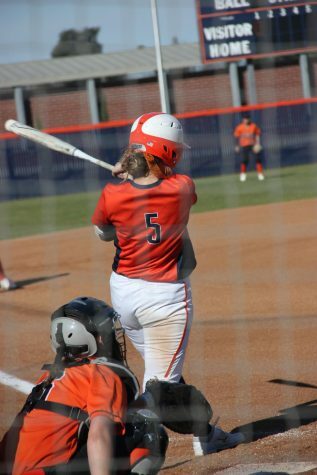 Freshman second baseman Veronica Smith reached first base on an error by the Panthers’ short stop and Hirtel scored. 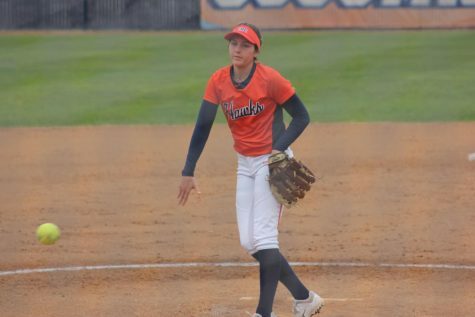 Sophomore first baseman Makenna Noya singled, allowing freshman right-fielder Cecilia Rivera to score and freshman shortstop/second baseman Miranda Rodriguez to advance to second base. An error by the Panthers allowed Rodriguez to score, putting the Hawks at a 5-0 lead in the bottom of the second. 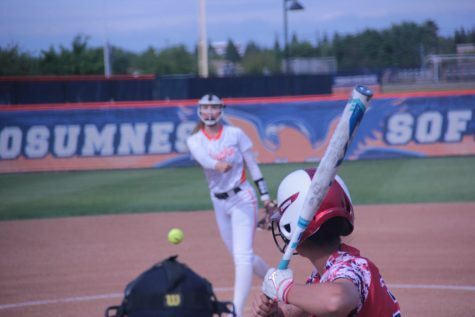 “I was thinking that if it was my pitch that I was gonna rope it and then pick up the team by having good attitude at bat,” said Hirtel after hitting her triple. 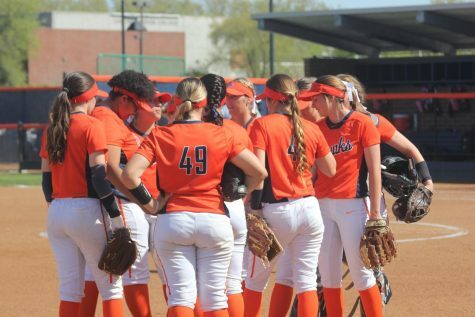 The Hawks scored three more runs in the bottom of the fourth on a ground ball, error, and sacrifice fly. By the end of the fourth inning Hawks led 8-0. Without any runs from the Panthers, the game ended at the top of the fifth. The Hawks players said they are excited for the rest of their season. “The team clicks really well so it’s just a lot of fun being out here,” Baroni said. Hirtel said she wants to keep working hard at practice. She recognized the importance of having a good attitude.